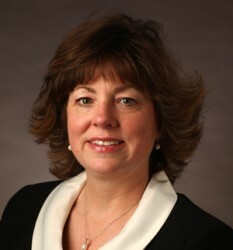 Michelle Collins, Ph.D., CNM, has been named program director for the Vanderbilt University School of Nursing Nurse-Midwifery program. Collins is an associate professor of Nursing, who has been teaching in the VUSN Nurse-Midwifery program for seven years. Before joining Vanderbilt, Collins worked as a nurse, charge nurse and educator for 15 years in hospital and clinic Obstetrics. After earning her Master of Science in Nursing degree from Marquette University in 2002, she served as a certified nurse-midwife at Heartland Women’s Healthcare in Marion, Ill., for three years. Since joining Vanderbilt, Collins has taught nine different courses in the school’s Nurse-Midwifery program and is an active member of the Vanderbilt Nurse-Midwives faculty practice. Collins led the Vanderbilt University Medical Center Nitrous Working Group that resulted in VUMC adding nitrous oxide to its pain management options for women during delivery starting in 2011. She has written several articles and is a national presenter. She is also active with the American College of Nurse-Midwifery and is a member of Sigma Theta Tau International. Collins earned her Ph.D. in Nursing from the University of Tennessee Health Science Center in Memphis. Collins assumes the position from Mavis Schorn, Ph.D., CNM, who served as program director since 2006. In 2011, Schorn took on the additional role of becoming VUSN’s assistant dean of Academics. Schorn will now focus her efforts on an increasing amount of academic initiatives, global health work activities and collaborations while remaining active in the Vanderbilt Nurse-Midwives practice.